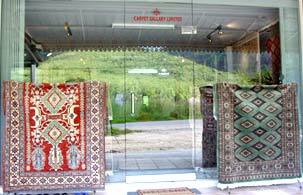 Mr.Carpet offers customized modern carpets and oriental carpets. You can choose the colour scheme of any design according to you interior decoration style. Going a step ahead we also offer you to get your new carpet designed according to your requirement to satisfy your aesthetic taste. For interior designing firms we provide the facility of customized carpets. An exclusive range of antique carpets is also available. Specialized washing and repairing service are also available with free pick & drop. For more information please feel free to visit our showroom or visit our website or give us a call to see the catalogue, we will bring the selection at your door step. We assure you of providing professional service, best quality and a lasting durability.